Folk dance boot camp? Not quite, but Rauno Zubko, a renowned Estonian folk dance choreographer, has come to the US to get everyone’s toes tapping in time for the Estonian Song and Dance Festival. 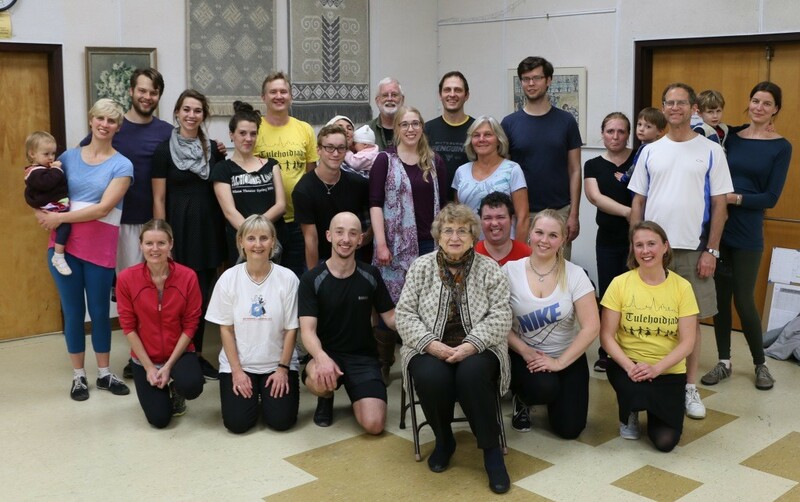 Zubko, an Estonian folk dance director and choreographer, has come to Portland, Oregon, for a week to “spice up” the local dance scene among the Estonian American folk dancers. The Tulehoidjad (Torch Bearers) Estonian dance group is one of the oldest in North America, now teaching the fourth generation of Estonian families’ traditional dance. Zubko teaches both contemporary and folk dance in Estonia, and his choreographies here are meant to impress at upcoming festivals domestically and internationally. Tell me about yourself and your work, in Estonia and in the US? This is my second time in the US; the first time was in 2014 for the Tantsupidu (the Dance Festival). I was the age-groups assistant for Vancouver, Seattle and Portland dance groups, to help them prepare for the Laulupidu (the Song Festival). In Estonia, I’m based in Tallinn, although I’m originally from Hiiumaa (the second-largest island in Estonia). I teach folk dance there on a regular basis but it’s not the only style I do; I’m also a contemporary dancer. I have my own folk dance society called Pääsuke. I’m the artistic director and it’s really growing right now. I also give contemporary classes in different studios and at the Estonian Academy of Music and Theatre. We organise the Hiiumaa Tantsufestival, a contemporary dance festival, as well. What are your main goals for the Tulehoidjad during your time here? 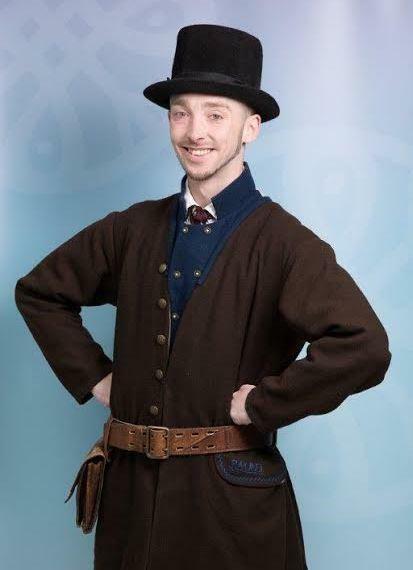 My main goal is to somehow spice up [the Estonian] folk dancing popularity while I’m here. It seems to be working – I understand that since I arrived, many dancers who had not come to practice in years have now shown up. It’s really a good thing. But I also want to give them material that’s not too easy, so they can improve their technique and skill level. I’m doing some simpler dances, but mostly quite challenging ones, so they’ll have time to work with the material. I’m going through it really fast right now and they’ll have time to work on it later. Yesterday after rehearsal I could tell everyone had really hit a wall but they are all good and very motivated. How are dances connected to Estonian culture? Why is it important for the people here? Estonians are a singing and dancing people. We’re lucky to have such an incredible amount of folkloric dance. It’s thanks, of course, to Anna Raudkats, who started in the 1920s to collect the dances. Dancing is really popular, both in and out of Estonia. And we even managed to preserve the folk dancing tradition during the Soviet-occupation. How do you see dance within the Estonian diaspora in North America? I’ve been here and in Vancouver and both of the communities are doing really well, despite how difficult it is to do the classes and get people together. Hats off to the organisers, really! I was amazed the first time I was in Portland that there are third generation fluent Estonian speakers here. I’m really glad they can hold on to it. How do you see the role of the Estonian diaspora in the “100 Years of Estonia” celebration? There are so many events leading up to the celebration – starting with the youth celebration in 2017 and ending with the main event in 2019, and many in between. I hope to see these groups there. Often the singing is the only things people think of or know when they think about Estonian folk culture. Is this a good thing or a bad thing? At least they know something! Of course I wish everyone would come to see the dancing section at Laulupidu, it’s completely amazing, especially when you see it for the first time. It’s jaw-dropping. What kind of challenges do you face in a job like this? I never know ahead what kind of level to expect from the dancers. There are pairs with different levels and I had to select the dances to teach ahead of time, without the full information. I made a list of possible dances first, then made the final cut here, once I understood the levels. Also, Estonian dances are usually made for eight couples exactly, and the women’s dances take exactly 12 women and, of course, here we don’t have the luxury to do that! I had to select dances that you can do with different configurations. Would you like to say a word to the readers of Estonian World? I’d like to just encourage everyone to come and see the song and dance festivals! Folk dancing is hugely popular, even among younger people in Estonia. The celebrations (like the Song Festival), of course, contribute to the popularity, because it’s said that if you go once, you want to go every time. Estonia is very nationalistic; people are very proud of their heritage. 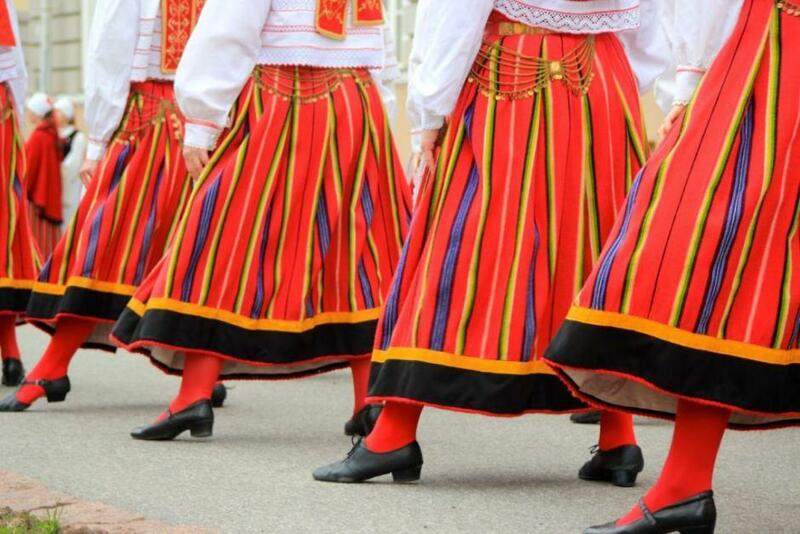 When they put on the folk costumes and dance their own dances, people feel very proud. I’m so happy that people enjoy it. 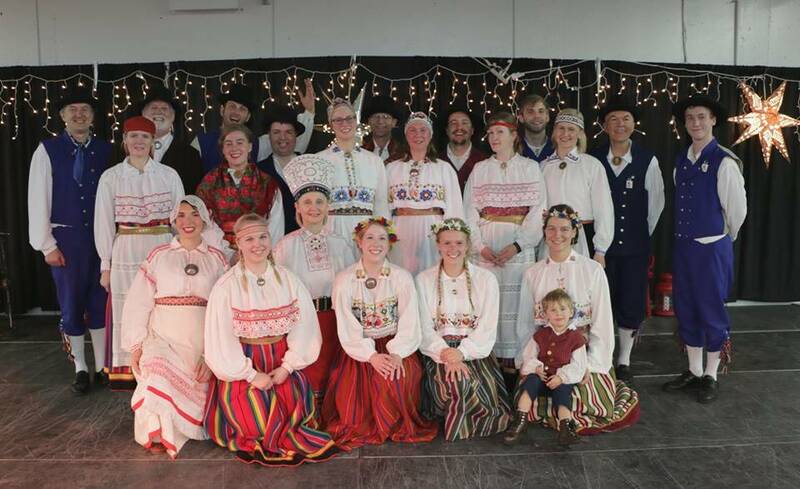 The Portland Tulehoidjad folk dance group was formed in 1950 to keep Estonian traditions alive and to share culture with American friends and family. In 2009 and 2014, Tulehoidjad performed in Tallinn, Estonia, at the Song and Dance Festival, and they travel and perform within the United States on a regular basis, including taking part in the annual West Coast Estonian Days. The Portland area mother-daughter team of Lehti Merilo and Liina Teose were awarded the 2016 Outstanding Achievement Award by the Estonian American National Council for their work with Tulehoidjad. Within the group, there are mixed pairs, women’s dances and a special group for children aged 0-8. Erin Crouch lives in Tallinn, Estonia and holds a master's degree in International Relations from Tallinn University. She has published other work on thebillfold.com/tag/erin-crouch.